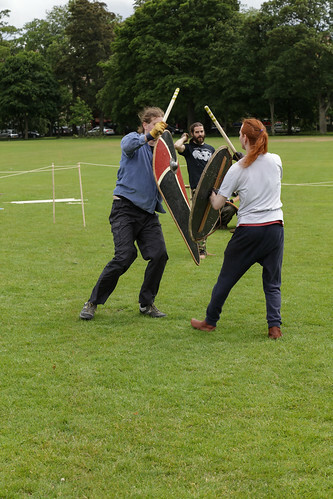 Photos taken at an open practice sparring session for Historia Normannis in the Meadows, Edinburgh. Participants were given tutorials in defending and attacking using shields, swords and axes made of wood. Plenty of action and I was lucky enough to get into the sparring area to get closer to the action. Hopefully something that will be repeated in the future. Images are low quality and hardly edited at all due to a lack of time.